First meeting in Tsim Sha Tsui, October 23. In continuation to my last article, I would like to bring one more Hong Kong newspaper column from the aftermath of the Chengdu Hanfu burning incident, before discussing some ideas put forward by non-PRC Hanfu promoters in concern over their efforts in their locality. Afterward, I will give an account of my “field work” with a Hanfu advocacy group in Hong Kong, and identify the unique situation and potential solutions with promoting to Chinese raised outside of Communist rule and its education system. To read that section, please click read more below. With the breezy winds of autumn, the mainland youth’s Japan visiting trip went almost synonymously with the “Anti-Japanese trip [demonstrations]”. The several hundreds of Chinese youth happily visiting Japan are the direct result of Kan Naoto, who was part of the 3,000-some Japanese youth delegation invited by Hu Yaobang 20-some years ago, and the Chinese reception then was the Secretary of the Communist Youth Party, Hu Jintao. As for the Anti-Japanese demonstrations, it was nowhere as glorious – they couldn’t go out to sea to “Baodiao [protect Diaoyutai]”, they couldn’t Baodiao online at home either, and the most they can do is protect a “Senkaku Islands” [TL: a joke referring Liu Xiaobo’s blog article on how he was unable to transmit a message on Chinese forums with the term Diaoyutai, until he changed it to Senkaku Islands, hence mocking the Chinese government as indirectly admitting their sovereignty]. So from there, these hot-blooded Fenqing [TL: “angry youth”] can only go smash their compatriots’ Japanese cars and Japanese stores. The most out-of-line act was to strip away one of their female countryman’s Hanfu, causing her great shame and anger. What is this Hanfu? This is precisely the embarassment of the Han people, and on a deeper level, also a shame of Zhonghua culture, because its fate could hardly escape the destruction from authoritarianism. Qin Shi Huang’s book burning and scholar killing, Han Wudi establishing Confucianism as the state ideology and dumping the Hundred Schools, Zhu Yuanzhang banning the “common people more important than the Crown” ideology and expelled Mencius from veneration, and now in our Red dynasty corrupting and rewriting the meaning of “Taoguang Yanghui [lit. ‘hiding one’s light and shadow’, or keeping a low profile], referring to Deng Xiaoping’s reference in the early 1990’s on China’s military policy and English interpretators mistranslation as “hide capabilities and bide our time”]…all these are created out of political necessity. In today’s words, “to maintain the unity of the country”. Han Chinese officials in the Qing Empire visiting Korea saw the locals still wearing Ming robes and headgear, and none could hold back their tears. Afterall, in Qing China, only in death can Han people wear Hanfu, and hence today’s Hanfu is actually a variation of joss clothing. The Fenqing who stripped our female countrymen’s clothes are in no doubt to have a perverted sense of patriotism, but Hanfu does indeed look quite similar to Wafuku [kimono], and the kimono originally contains many elements from Tang Chinese culture. If you don’t believe me, please take a look at the Dunhuang Mural Paintings and the clothing on the characters. In the 1990’s, the daughter of Gen. Nie Rongqin, Nie Lizhong, advocated the Qipao as the female national dress of China. Regretfully, the Qipao is not of Han Chinese sartorial tradition, but since we talk of “ethnic unity”, to have Han Chinese establish Manchurian Qipao, Cheongsam and Magua as the official national clothing is not out of the question. Can’t you see that on CCTV’s New Year Evening Gala, Qipao and Magua dance all over the screen, flying everywhere with the Golden Age [shengshi] and Harmony [hexie]. The only thing that’s missing – there’s not a trace of Hanfu to be found. Coming to talk of it, the first to design a “national clothing” is our Guofu [Father of the Nation] – Dr. Sun Yat-sen, followed by former “Guomu [Nation mother]” Jiang Qing. Let’s talk about the Zhongshan Jacket, it is certainly stately, but its origins are from the Japanese students’ outfit [TL: See ‘Gakuran’]. But then, we have had Dr. Sun defending it in the past, and now we have Hu Jintao, stiffly clad on top of Tian’anmen tower – if the Anti-Japanese Fenqing wanted to strip that off, they’re out of luck. Jiang Qing’s contribution was to revolutionize the Qipao. As generally Han females have shorter necks and legs than Westerners or even Manchus outside of the Great Wall, Jiang Qing with her unique creativity changed the lower part of the Qipao into a pleated dress, while changing the tall collar into a V-neck, successfully hiding away the lack of length on the legs, and the V-shaped open neck elongated the lack of a neck feature, creating a different kind of refined air. Unfortunately, Chinese history was much too tumultuous then, and the politics was too heavy. Jiang Qing was imprisoned, and unbelievably the design was “scrapped like the person”, and this sort of national dress became no more. This kind of editorial and standpoint is typical of many found in both Hong Kong and mainland press. From the bolded highlights seen here, are points that Hanists, Hanfu advocates, and anyone who strongly identify as Han (that being at least 90% of China) would find objecting or even repulsive. While “compassionately” lamenting for the disappearance of Hanfu, the author takes no prisoners in bashing the entirety of Chinese history as a dark one, one of great oppression from the “evils of autocracy”. His examples of Qin, Han, and Ming ‘absolutist oppression’ had nothing to do with Hanfu, and even went as far as to mislead people (and infuriate Hanfu advocates to the memory) of it as joss [funeral] clothing, which had been the casus belli to a full litigation in the Zhengzhou Provincial Court in early-mid 2006. The following sections are no less forgiving – perhaps Kung is writing sarcastically, but many in China do truly believe the concept of Zhonghua Minzu (Chinese ethnicities) – a Soviet model that the 56 ethnicities found in the borders of the People’s Republic and their cultural-historic heritage are all to be considered “Chinese” – and find no problem in taking Manchu clothing to represent all of Chinese people (especially when the Han majority has been wearing “the same clothes”, or close approximations of them, for over the past three centuries). However, Hanists and any educated person in the West will see this as a fundamental fallacy in historiography, and a great disrespect to both Han and Manchu tradition to not differentiate them. In the third supporting paragraph, Kung insults all Han Chinese women, if not all men as well, on the features of Han genetics. This paragraph needs no more explanation, as the tone is clearly set to belittle the Han majority as an inferior race. Unless Kung is not Han (to which I suspect more hot-headed Hanists will be ready to accuse him as a Manchu), he has not spared himself from this. To put down one’s own race and genetics in this unhealthy manner is only heard of in extreme times (such as Japan and Korea ages in its “reflection” ages during Westernization and after the Second World War), and is none other than blatant, irrational racism (despite it being self-oriented). As in the last article I have translated by Lee Bik-Wah, Kung here considers Hanfu to be the clothing from the “Han and Tang brilliant” eras, but is still relagated either as “dynastic” period dress, or simply as obsolete, ancient clothing – a common fallacy. To put this together, this article with its mix of factual truths with fallacious and wild opinions on the inferiority of (Han) Chinese would be considered no less as “ideological poison” by pro-Han or the pro-individualistic ideals person. When both mainstream paper and digital media are filled with this kind of “data” for the common consumer, it is not difficult to understand why Hanfu advocates have such a difficult time convincing fellow Chinese people to wear the clothes and be proud of their identity and heritage. Now onto my field report. The Author (right) at the Chinese "Minzu zhi Hua" Pageant, representing the Han, along with the Manchu representative (left). Translator’s note: For this work, the only work I have added is the use of graphic illustrations and supporting links in the original essay. Otherwise, all aspects remain the same. This essay attempts to discuss and analyze from an academic perspective. Fellow Hanfu fans please do not target or stereotypicalize specific makers as a result of this. The Hanfu Movement refers to the revival of the use of Hanfu as its entry point, to bring forward the total recovery of Zhonghua culture and its ethnic spirit. 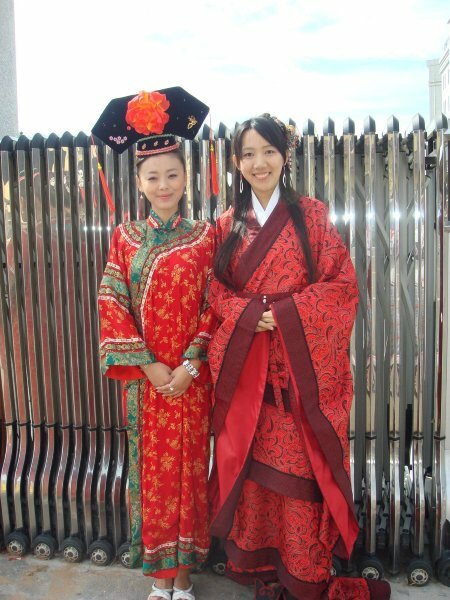 Hanfu: It is a piece of clothing, but also a commercial product. Its revival inevitably also requires it to undergo commercialized production to promote, and develop through market competition. Although the Hanfu Movement has developed for six years, and businesses are flourishing in different places, their standards are confusing, and with netizen attacks and rumour accusations, various kinds of improper methods of market competition are also quickly arising. 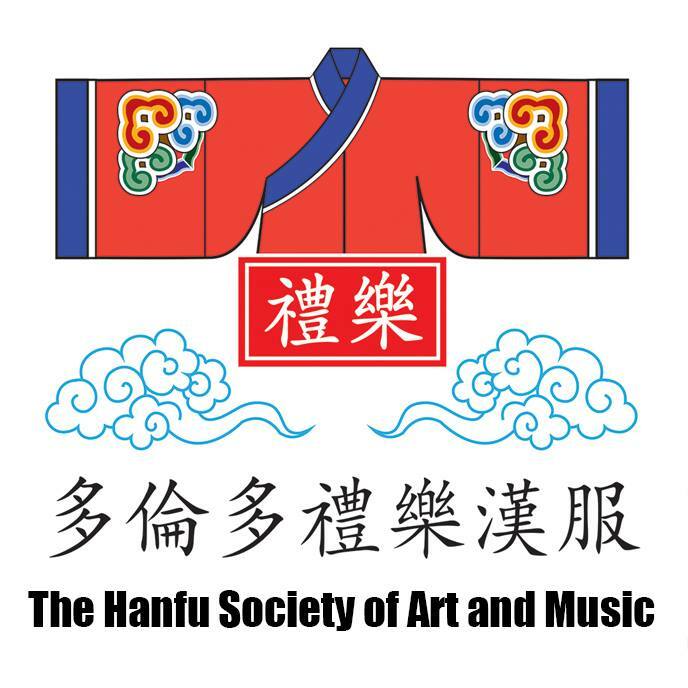 Therefore, this essay attempts to describe the development of Hanfu commercialization through its flow, method, and strategic weaknesses, as well picking out the traits, and provide some suggestions in marketing strategies in the contemporary Hanfu market. Commercialization of Hanfu is not industrialization, as the former refers to the means of producing a certain product for the sake of profit. (BusinessDictionary) The notion of commercialization is opposed to artisize, but it matches with the most basic of public aesthetics – the basis of style and form et cetera. According to modern perspectives of product market, commercialization is divided into four procedures: Concept, Development, Display, and Promotion. Original posting on Hanminzu.com, http://www.hanminzu.com/bbs/dispbbs.asp?boardID=101&ID=245688&page=1 on Feb. 27, 2009. The concept of “Hanfu photography” probably was developed since the beginning. At the moment, cities along Suzhou and Jiejiang have already established their own professional Hanfu photography shops or studios. Hanfu should not be like this, it should be a style of dress which possesses an Oriental essence.